D-TACQ digitizers can plug in directly to the plant Ethernet. Lowest cost deployment, self supporting unit needs only a chassis and network cable. Small-formfactor ACQ1001 units are networked DAQ appliances running from 4 .. 64 channels. 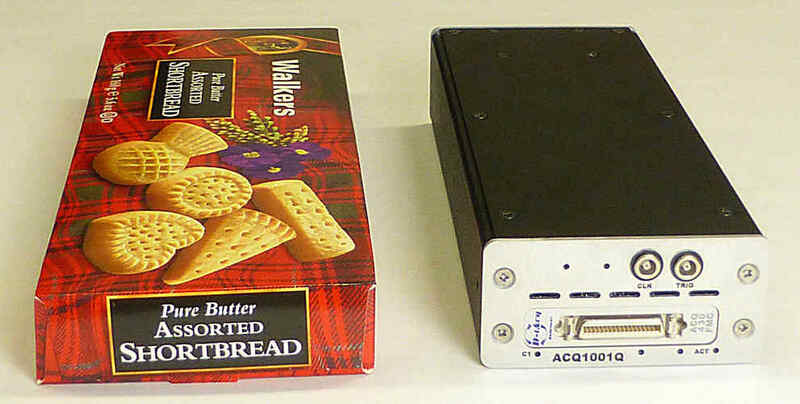 ACQ2006 19" wide 1U DAQ appliance with up to 192 simultaneous channels. 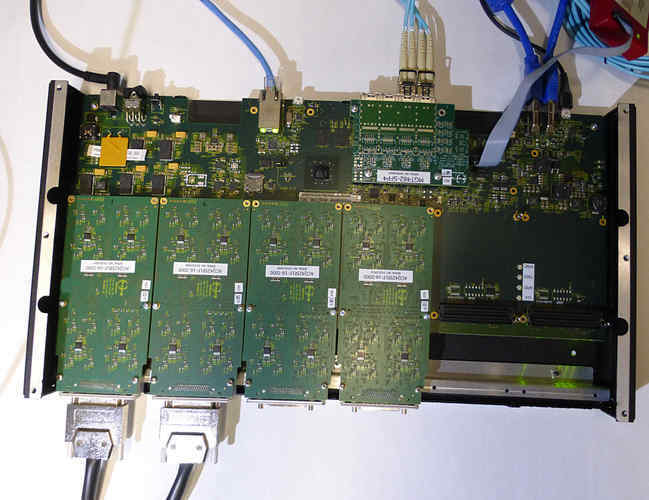 Network digitizers are cost effective for "small" systems with a single card. 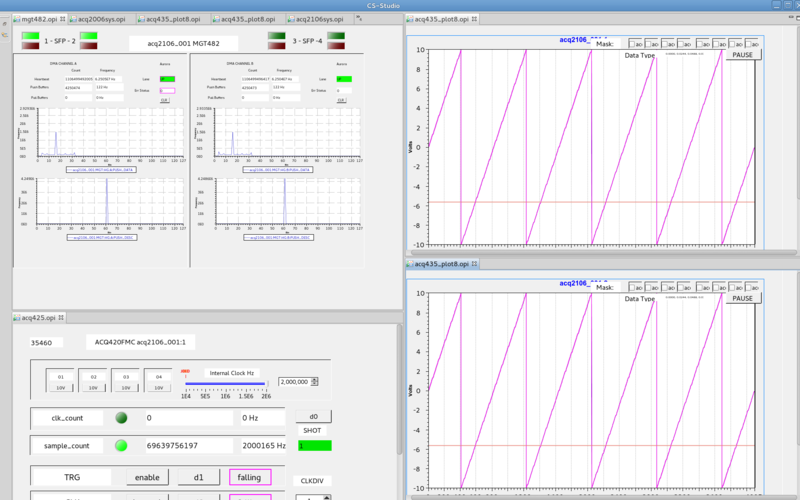 Control from remote computer, simple, open standards, "no device driver required"
Data upload to remote computer, multiple methods available. Highly scaleable - simply add more cards and more network cards, at upload time, all the cards can work in parallel. ACQ2106 fitted with 64 channels, 2MSPS/channel streaming data payload. 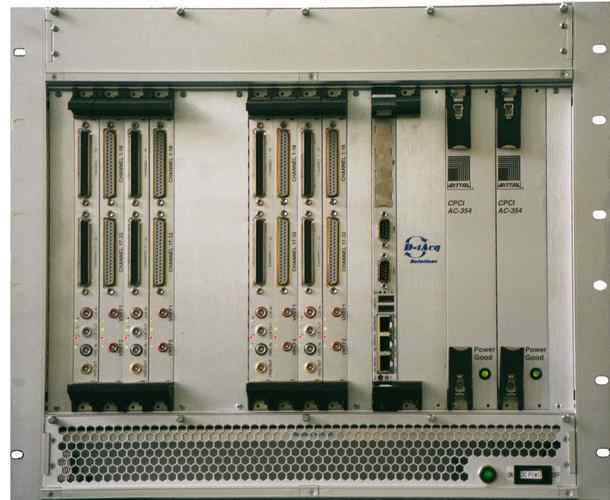 ACQ2106 rear panel showing 4 x SFP fiber-optic ports, SYNC cable and Ethernet. ACQ2106 interior showing 4 out of 6 analog payload modules fitted.